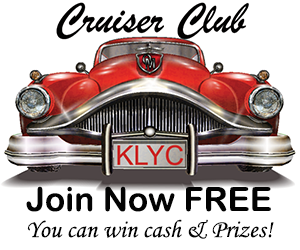 KLYC Radio - WOULD DOWNTOWN MAC BE BETTER IF COUNTY OFFICES MOVED AWAY FROM DOWNTOWN? WOULD DOWNTOWN MAC BE BETTER IF COUNTY OFFICES MOVED AWAY FROM DOWNTOWN? 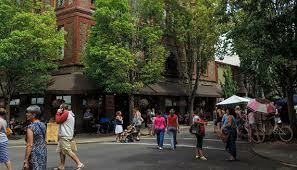 Should Yamhill County pull all of it’s offices out of downtown McMinnville? The discussion seems to have started as the county is looking at it’s future office space needs, and in one recent meeting Commissioner Olson was wondering if it might be more efficient for the county to house it’s offices in a more centralized location. Commissioner Kulla says the county owns 27 properties in the downtown core. Some feel the county leaving would free up more space for downtown development, possibly leading to extended shopping opportunities with more stores and longer hours. There are some detractors of the idea. Several members of the Chamber of Commerce and several downtown businesses said it would be devastating as the county brings more than 700 potential customers to downtown. Commissioner Casey Kulla proposed a task force to give direction to an architectural firm to do a needs analysis on what the county does need into the future. This idea did not have the support of Commissioners Olson and Starrett who feel a qualified firm should objectively look at the county’s current office space usage and locations and develop some recommendations into the future. Starrett and Olson said after the needs analysis is completed, that would be the time for public input. That’s what commissioners decided to do. Needs analysis first, then public input later.